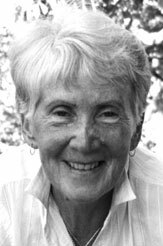 Limerick has its Frank McCourt; Dublin has its Peter Sheridan... Raised in Kilkenny, Ireland, Theresa Lennon Blunt wrote a boot factory memoir of tough times in the 'Marble City' of Kilkenny during the 1940s, during her teen years, called Judas in Kilkenny (Flanker Press). The story recalls the social stigma of her mother's drinking, her Roman Catholic upbringing and the author's friendship with an elderly man, one whom Blunt feels she betrayed. Blunt left Ireland in 1952, spent five years in England where she met her husband Keith, and they moved to Montreal in 1957. A son was born in 1961. She came west in a motor home in 1997. European English rights for Judas in Kilkenny were sold by her publisher Flanker Press of Newfoundland. It was published in the U.K. as I Sailed the Sky in a Silver Ship. Blunt was born in 1931. She now lives in Parksville, B.C. She first started recording her memories in 1979 when a psychiatrist told her to write down every detail of her life that she could remember. She finished most of her memoir by 1982. Blunt didn't consider making a book until 1999 when she was diagnosed with breast cancer. Having lost a sister to cancer, she sought mental counselling after successful surgery. A Parksville therapist looked through her manuscript and urged Blunt to seek publication. "The book grew out of adversity," she says. "I didn't write it for publication at all."